Why - Because rock climbing really is the best. 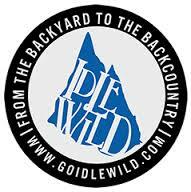 How - Idlewild Adventure Company is providing an AMGA certified guide, all of the necessary equipment and will answer any questions you may have in advance of the event. The cost is $160 per climber, and includes all four outings. The only additional cost is the $5 climbing permit at Palisades Park and the $5 per vehicle parking pass at Cherokee Rock Village. Full payment is due at the time of registration, refunds will be available only with 14 days advanced notice (enough time to open the space to another participant), and partial refunds are not available. In order to reserve a spot in this program, each student must commit to the entire program.